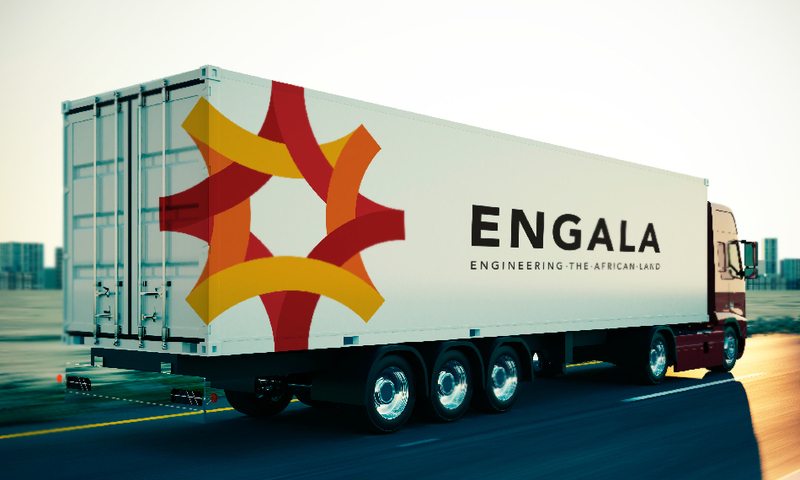 Born out of the union of two energy giants—Spain’s Isolux and South Africa’s Basil Read—Engala is a South Africa-based engineering and infrastructure company with a focus on renewable sources. 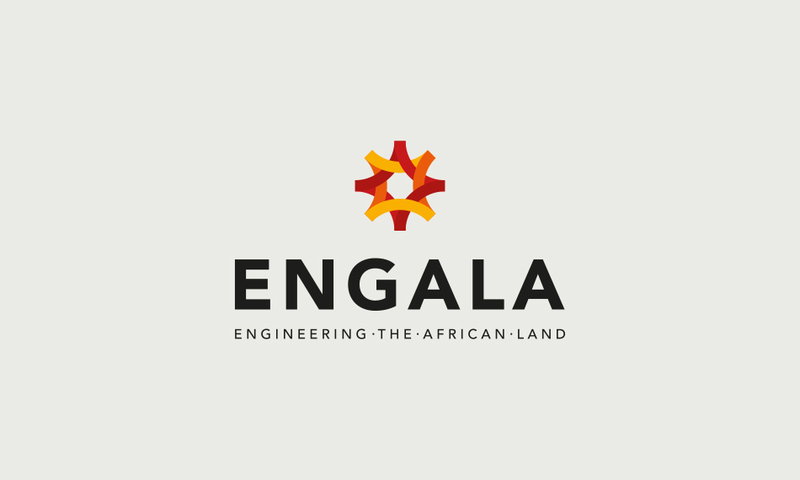 Our brand identity starts with the tagline “Engineering the African Land,” using the first syllables to form the name ENGALA. 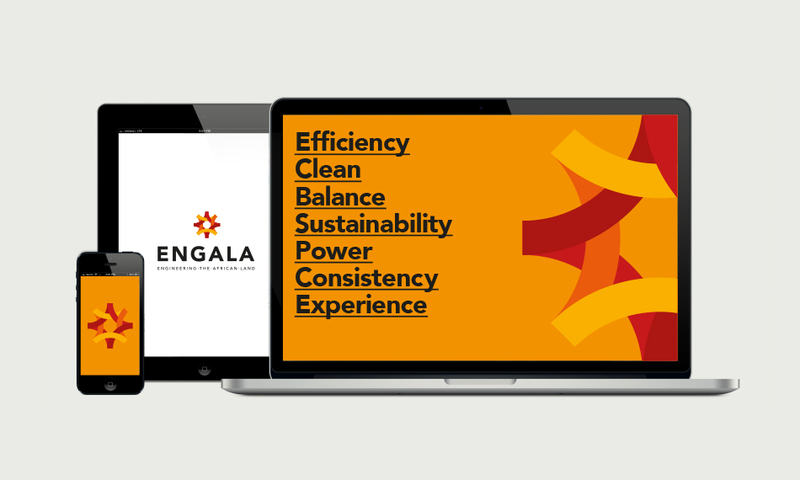 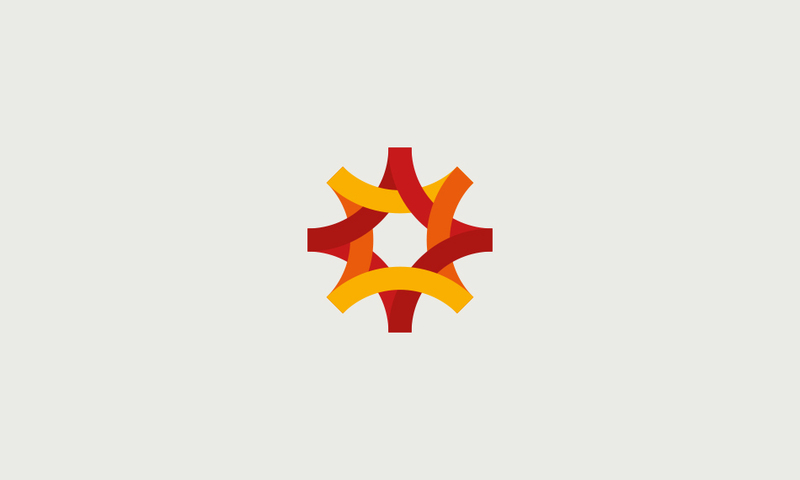 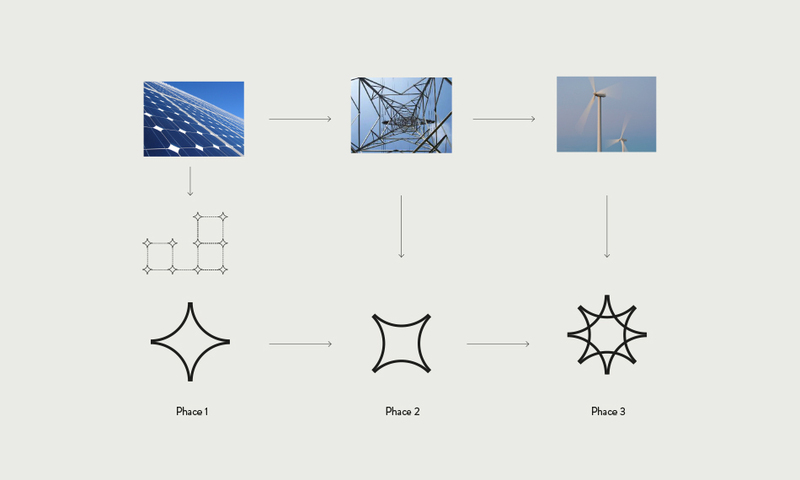 To create a stunning new logo we drew on visual aspects of the company’s three main activities—the shape of solar panel joints, the geometry of transmission line towers and the motion of the blades of a majestic wind turbine—infusing the graceful result in the deep hues of an African sunset. 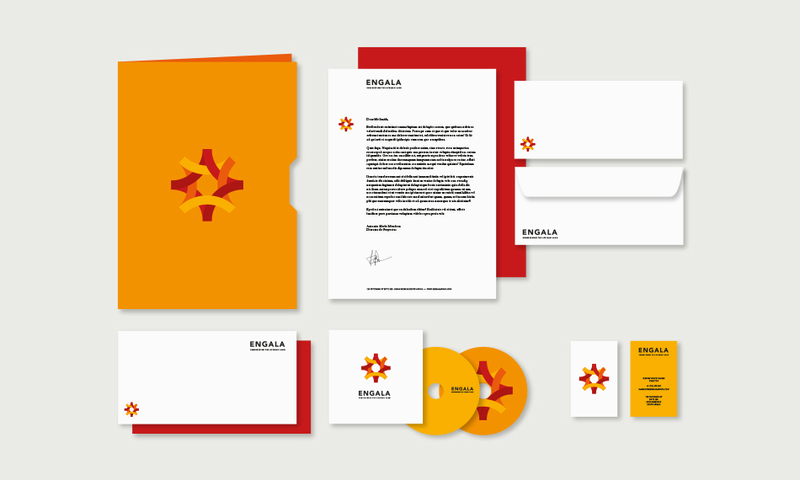 Stamped not only on the company website and stationery but on field materials like helmets and boots, it is elegant, striking and bright with the promise of a new energy future.